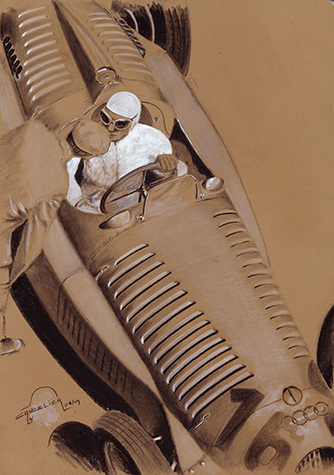 There are many different styles of motorsport art. The classic oil or acrylic paintings in the style of Nicholas Watts or Michael Turner are well known. The frenetic style of Randy Owens is another. 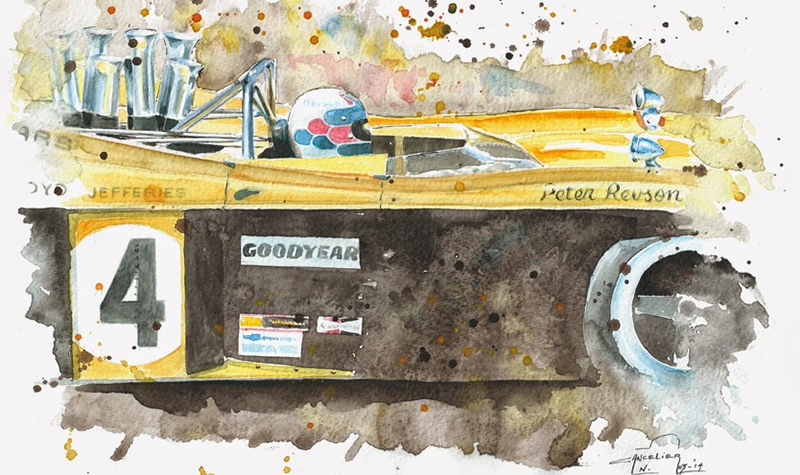 Watercolor is not a style usually associated with auto racing. The motorsport art by Nicolas Cancelier shows how well that style fits in. Cancelier takes a “splashy” approach to some of his watercolors, as in the Villeneuve piece (top). We get a better sense of the subject, quite like a black and white photo points your eye with razor sharpness. Cancelier also uses other media to create his art. All styles work in the same way, focusing your eye to the subject and not all the pretty colors. 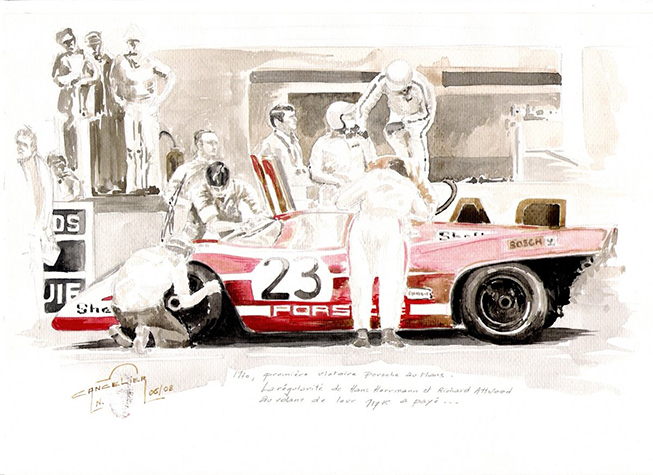 The red of the Porsche 917, bottom, really pops out of the sepia tone of the rest of the illustration. I like the use of duotone art, such as his Cobra piece, bottom. It’s a Cobra story in blue. Similar is Autounion, bottom. Several of these pieces grouped together is stunning. To advertise his aperitif brand, maker Paul Ricard built a long, fast and smooth track in the south of France. Able to get the French GP for his circuit, the races were sunny, hot affairs. 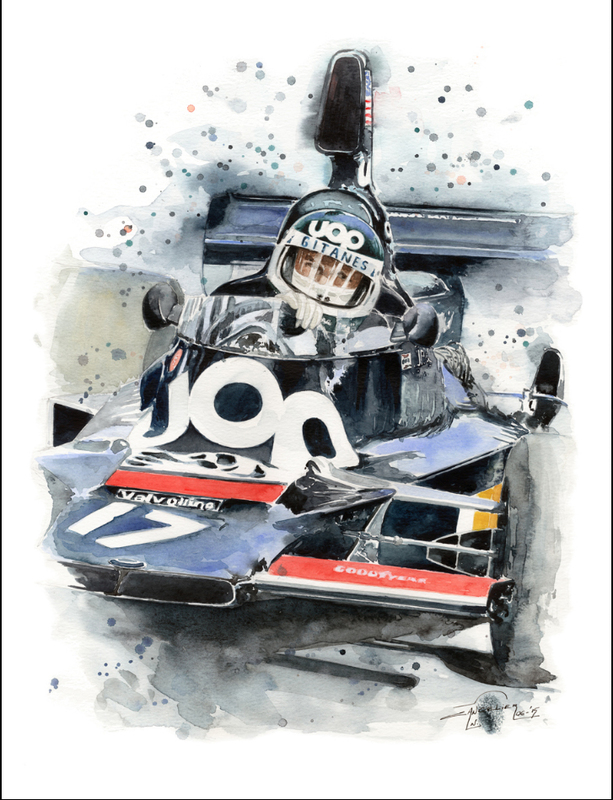 Cancelier brings that to his 1971 French GP piece, Chaleur au Paul Ricard, above. You can just feel the heat, shimmering up from the track surface, cars speeding down the long straight. Too much art, not enough wall! 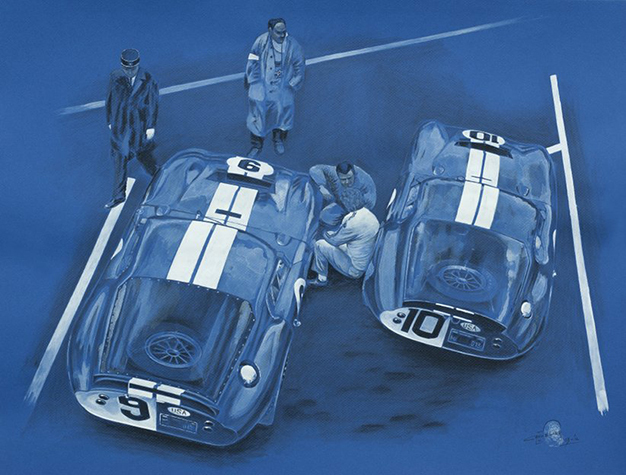 Cancelier offers many classic and modern motorsport art pieces as art prints. However, you do not need to build another wing onto the mansion to accommodate the collection. Take a look at the set of 30 cards available for just €25. Thirty of his works, each 5 7/8″x4 1/8″. Frame them for a display of small artworks, or use them as the post cards they actually are. Seems a waste to mail them, but you can bet the recipients will love the art. 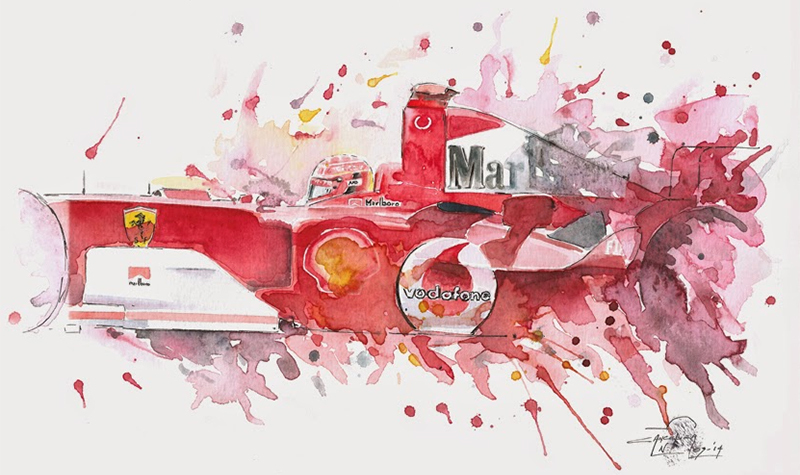 See the whole collection of motorsport art by Nicolas Cancelier here.